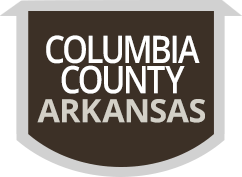 In Arkansas local government, the County Judge serves as the chief executive officer of the county government. As such, the County Judge authorizes and approves the disbursement of all appropriated county funds, operates the system of county roads, administers ordinances enacted by the quorum court, has custody of county property, accepts grants from federal, state, public and private sources, and presides at the meetings of the quorum court without a vote but with the power to veto. The County Judge coordinates day-to-day intergovernmental relations with municipalities and state and local agencies that become involved with the county on various projects, programs and service delivery. The County Judge applies on behalf of all county departments and offices for state and federal assistance for which the county is eligible. In addition, the County Judge appoints members to various administrative and advisory boards under areas of county government.